Wow - another birthday. They seem to come and go at a far too rapid pace lately. 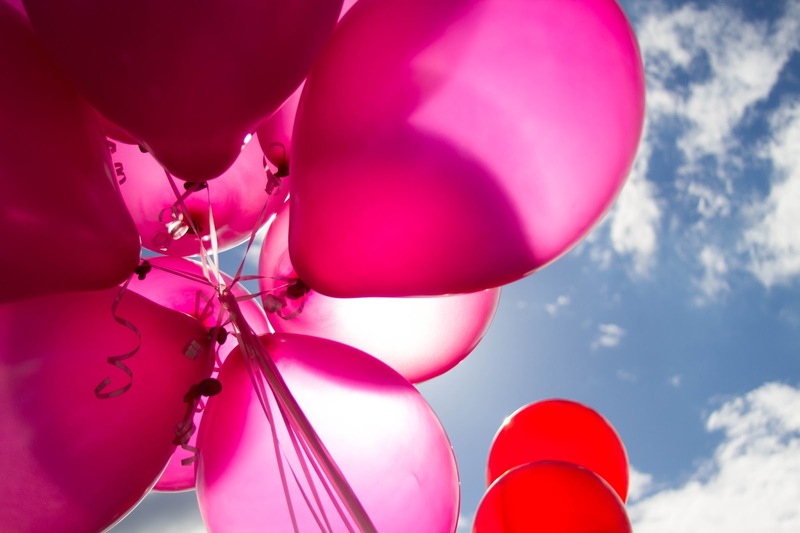 Birthdays are definitely not what they used to be - I'm not exactly excited each time they come around, I love being young! I just don't want it to end. But at the same time I'm so grateful to be turning 25 - as my Dad would say, it's better than the alternative! 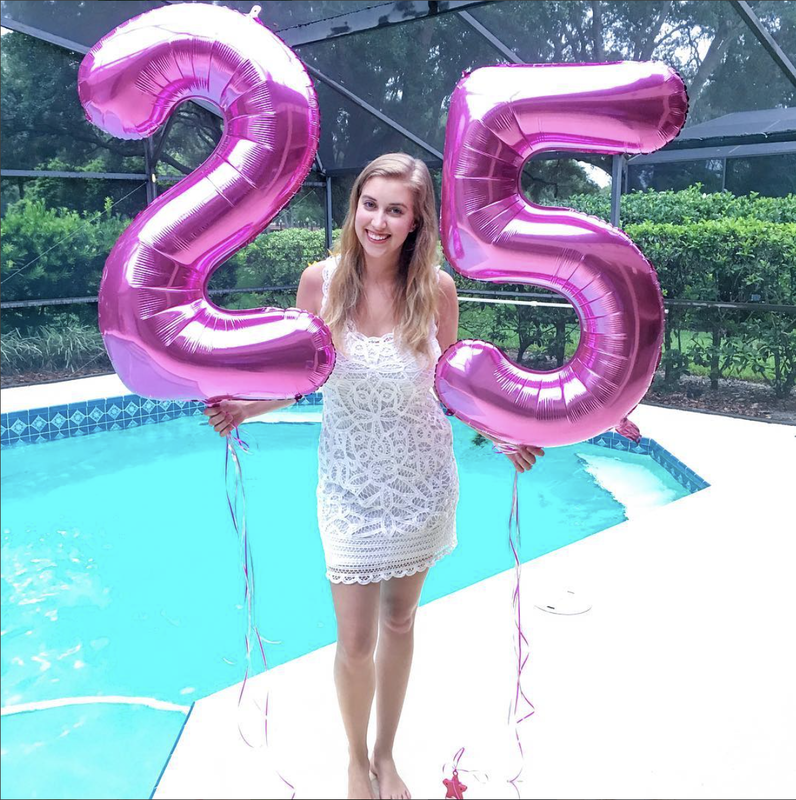 I just re-read my posts from my 23rd and 24th birthdays and I must say not much has changed since last year, but here are 25 some what random thoughts from my 25th birthday. 1. I am blessed beyond measure! I have everything I could ever want in life right now and I thank God every day (usually multiple times a day!) because I just can't even believe that everything I've ever wanted has come true. I've always been a firm believer that God has a plan for us all, and He has never disappointed me. 2. I have no idea how I got so lucky in the husband department! Brian, you are everything a woman could dream of - caring, compassionate, supportive, loving, the list goes on. This is the 9th birthday you've celebrated with me which is very hard to believe but also the best gift I could ever have. 4. I'm so thankful for my parents! Without them I wouldn't have any thing that I have today. I love you so much, mom and dad, and even though I'm a grown up now it's nice to know mommy and daddy are only 10 minutes away. 5. I've always been an emotional person and I still am. I'm tearing up just writing all of this! 6. My blog has come so far this year! Yet still not far enough... I still dream of being a full time blogger, and I have a few things in place right now that will hopefully *fingers crossed* make that a reality. I had the same wish last year but I'm just not there yet - not giving up hope though! 8. Adult life is hard. Really hard. Harder than you could imagine, and I have an easy life compared to so many. I think the hardest part is coming to terms with the fact that there is no end in sight. Your whole life is filled with endings up to this point - end of elementary. middle, high school, then college, all with smaller beginnings and endings mixed in there. Life just gets kind of monotonous - not that it's bad, just different than how life has been up to this point. 9. I'm still working at my job. As much as I dream of having my own business, I am so lucky to have the amazing job that I do - I get to work on some really cool projects and I work with some of the most amazing people! My co-workers, some of whom I'm lucky enough to call friends, are the ones that make coming into the office everyday not so bad. 10. "The days are long but the years are short." 11. Blogging has continued to pay off in more than monetary ways. I've been able to experience things I never could have dreamed of because of my blog and have been able to connect with so many people all over the country who I so wish I could meet in person! 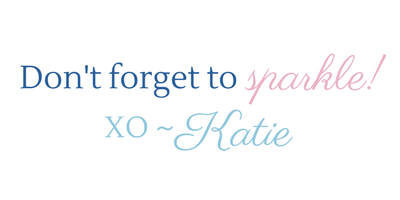 My favorite collaborations: Kate Spade, Palm Beach Sandals, Loews Hotels. 12. I'm going to my first blogging conference this week where I will get to meet a few of the awesome ladies I've only known virtually up till now. Super excited for that! 13. My childhood pet cat is still with us, she just turned 19! 14. Sometimes I wonder what my next goal will be. I am a very goal oriented person and like I said in #8 there are fewer "ends" the older you get. So my goals used to be centered around grades or graduations, getting a job, get married, buy a house. But I wonder what's next? Some things just have to be left up to destiny I suppose! 15. Speaking of goals, I often struggle with what value I bring to the internet world. I obviously love fashion and sharing that with you but I feel I have more to offer than that, but I'm just not sure how. I love talking with friends about relationships, sharing with family all of our house renovations, and just talking about achieving your goals in life in general. Hopefully this will become more clear this year, because I really want to help people - someway somehow. 16. I still can't imagine living anywhere besides Orlando. I just love it here! 17. Money isn't everything. I think I've really learned that this year. Of course money is important and absolutely necessary for life, but the older I get the more I see that you really shouldn't just do things for the money. Do the things that make you happy! 18. But also - hard work pays off. Sometimes we have to do things we don't really want to do in order to have a certain standard of living. Hard work always pays off though and there is no replacement for giving something your all. 19. I didn't achieve all of my blogging goals that I wanted to by my birthday. But that is okay. I am not going to be so hard on myself like I usually am. Some of my plans changed and some just didn't get done, but other things that I hadn't initially planned for did, so it's really all about balance and learning to go with the flow. 20. Writing this post is reminding me what a wonderful life I have! It's always good to reflect on your life from time to time because when you're in the thick of it you sometimes forget what really matters and what life is all about. 21. Don't sweat the small stuff - it's all small stuff! My aunt told me this quote a long time ago and it really stuck with me. She has quite possibly the hardest life I've heard of, yet she is the one telling me this quote. If she can say everything is the small stuff, knowing what all she's been through in life, then I really can't complain about anything in my life that's for sure! Perspective is so important in life. 22. I finished my freshman year of high school 10 years ago. That is so crazy! 23. I just looked back through my Instagram since my last birthday and was reminded of several really rocky parts of my life this past year. It's amazing how time really does heal all wounds and we only seem to remember the rosy parts. But what an amazing reminder - we always have lows but we always have highs too! 24. Still love Gilmore Girls, the revival was a flop but the original series is still my favorite and I continue to watch it over and over again and feel all the feels watching Rory and Lorelai grow up together. 25. I know next year will be here before I know it. I hope not too much has changed because I am very happy right now! Any changes will hopefully be for the better and if there is one thing I want to do throughout the year it is to stay positive through it all. Attitude is everything. If you made it this far - thanks for reading! As always, this post is more for my memories than anything but if you got something out of it, even if that's just getting to know a little more about me, then I hope you enjoyed! **edited - #26 - I couldn't write this at the time of posting, but my best birthday gift I've EVER received - I'm pregnant! I'm overjoyed and was always hoping I would be pregnant or have my first baby when I was 24, so I just barely got it in ;) Can't wait to write this post for my 26th birthday and see how crazy different my life is with my first baby!